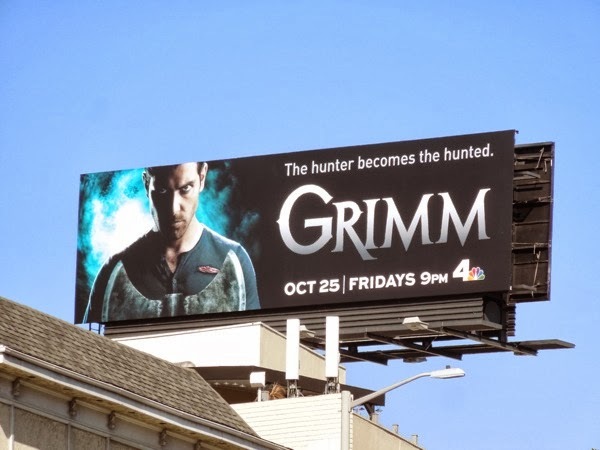 Detective 'Nick Burkhardt' (David Giuntoli) looks grimmer than ever in this season three billboard for NBC's supernatural cop show inspired by the fables, fairytales and folklore of the infamous Brothers Grimm. 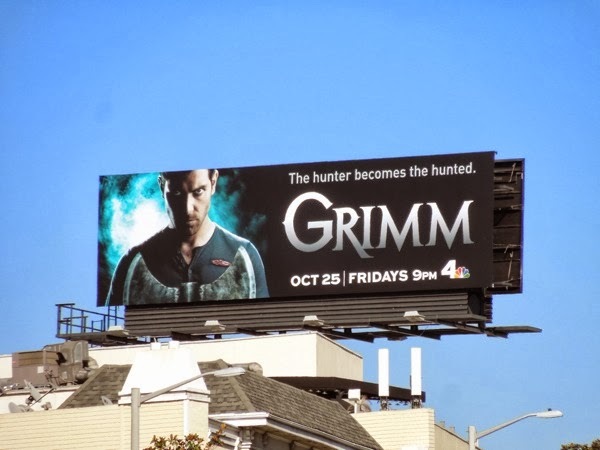 At the end of the second season Nick's friends and loved ones were left in peril (and he wasn't faring much better), but this season it looks like they won't be the only ones in jeopardy, as 'the hunter becomes the hunted' and the tables are turned on the homicide detective who comes from a long line of monster hunters. 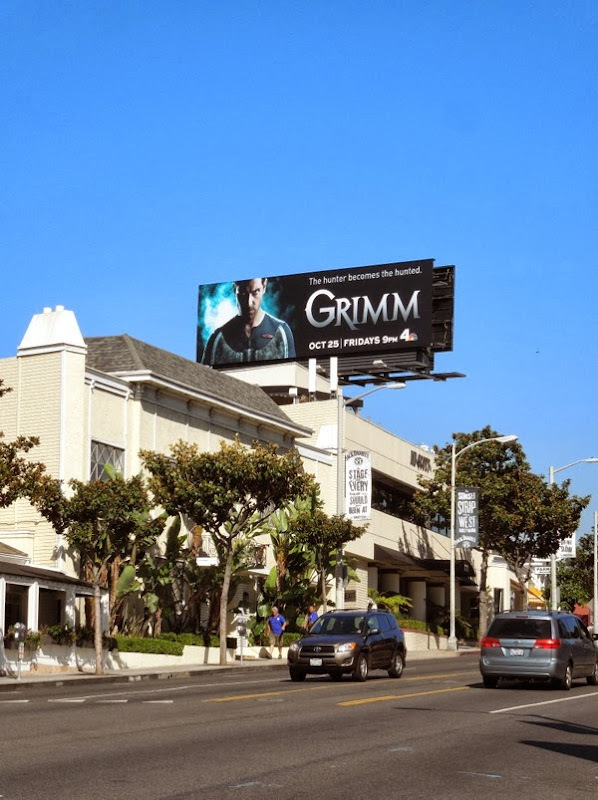 This foreboding season three billboard ad was spotted along Sunset Boulevard in West Hollywood on October 11, 2013. 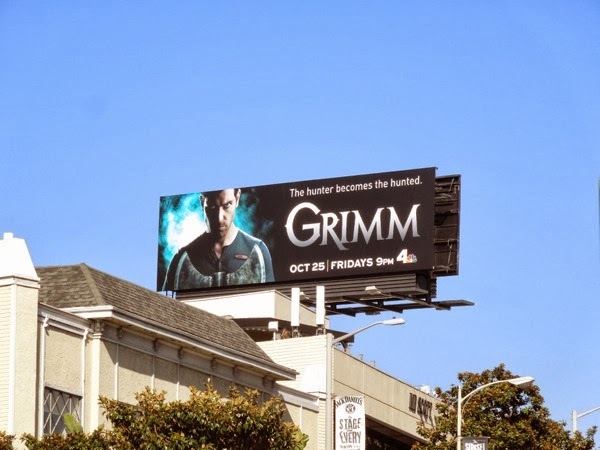 If you're a fan of the show, be sure to check out these Grimm season one billboards and Grimm season two ad campaigns. 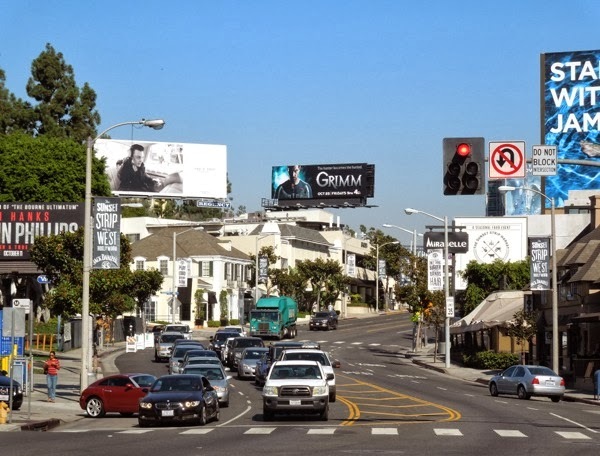 Get ready for more things that go bump in the night, ancient evils and nefarious royal bloodlines, just in time for Halloween time.